Brittle, dull and lifeless hair – all these are symptoms of dry hair and scalp. If not treated on time, it can lead to hair loss and dandruff. Various factors such as hot and dry climate, harsh shampoos, chlorine-rich water or overuse of styling tools can strip away the natural oils from the hair and lead to moisture loss. But thankfully, regular care for your hair including deep moisturizing and conditioning can treat this condition and bring back the natural luster of your hair. And when it comes to treating your hair, natural ingredients such as honey are much safer and effective than commercial treatments. 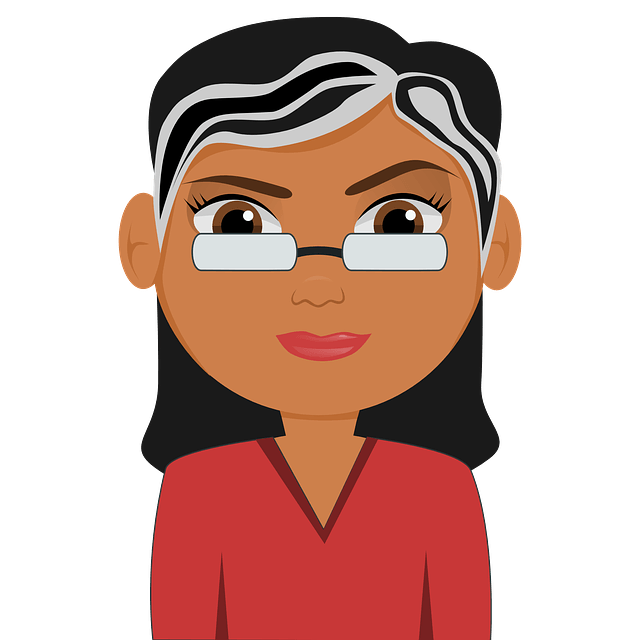 Is Honey Useful for Dry Hair? Being a natural humectant, honey attracts moisture into the hair from the environment. It forms a protective layer on the hair which in turn helps to retain the moisture in the hair shafts. Honey is an emollient that moisturizes the dry hair and makes it soft and lustrous. The enzymes and nutrients in honey provide nourishment to the hair follicles and help to rejuvenate dry, dull and damaged hair. Antioxidants present in honey protect the hair from sun damage, pollution and dry air which are some of the main causes of dry hair. How to Use Honey for Dry Hair? Honey is one of the best humectants of nature which makes it an effective remedy for dry hair. You can either use honey or Manuka honey for the below methods. 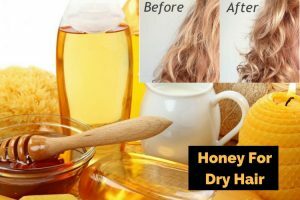 Here are few methods using honey for treating dry hair. A simple combination of raw organic honey and water is good enough to treat rough, dry and brittle hair. Take 1/4th cup of raw organic honey in a bowl. Add 2 to 3 tablespoons of water to it and stir it with a spoon so that consistency of the honey thins out a bit. Now apply this mixture to your damp hair and scalp thoroughly. Tie up your hair in a bun. Wait for 30 to 40 minutes and wash your hair thoroughly with lukewarm water. Shampooing your hair after washing out the honey is completely optional. You can reapply this pack every other day for a few weeks. Eggs are loaded with protein that helps to strengthen the hair follicles and prevent breakage. Vitamin A found in egg yolk enhances sebum production in the scalp and helps to keep the hair well-moisturized. Healthy fatty acids in egg form a protective layer on the hair strands and prevent moisture loss from the hair. Break an egg into a bowl and whisk with a fork. Add a tablespoon of honey to it and mix thoroughly using a spoon. Apply this mixture all over wet scalp and hair and put on a shower cap. Let it sit for an hour and then rinse thoroughly with cold water followed by a mild shampoo. Follow this procedure 2 to 3 times a week for at least a month. Ripe bananas are a rich source of mineral potassium that moisturizes, rehydrates and rejuvenates dry hair. The natural oils in banana form a protective layer over the hair stands that help to retain moisture within the hair. Take an over-ripe banana and mash it using a fork. Add a tablespoon of honey to it and mix thoroughly. Apply this mixture evenly to your damp hair and scalp and put on a shower cap. Wait for an hour and rinse your hair with water followed by a mild shampoo. Follow this process 3 to 4 times a week for few weeks. Healthy fats and proteins found in full-fat milk work as a conditioner that lubricates the hair and forms a protective layer over the hair strands. It closes the open hair cuticles which in turn reduces the frizziness of hair. Take 2 tablespoons each of honey and full-fat milk in a bowl. Apply this mixture all over your damp hair and scalp and tie your hair in a bun. Wait for an hour and then rinse your hair thoroughly with water followed by a mild shampoo. Reapply this pack once every other day for a couple of weeks. Proteins present in yogurt supply nourishment to the hair follicles and help to strengthen and rejuvenate dry and damaged hair. Anti-fungal properties of yogurt help to get rid of dandruff. Take 2 tablespoons of fresh yogurt in a bowl and whisk it using a fork. Add a tablespoon of honey to it and mix it using a spoon. Apply this mixture all over your damp hair and scalp. Put on a shower cap and let it sit for an hour. Wash your hair thoroughly with water followed by a mild shampoo. Repeat this process 2 to 3 times a week for a couple of weeks. Lemon juice is a rich source of vitamin C which not only strengthens the hair follicles and hair strands but also softens the rough and coarse texture of hair. Lemon juice promotes blood circulation to the scalp which in turn increases oxygen supply to the hair roots. Take 2 tablespoons of honey in a bowl. Add the juice of one lemon to it and mix it with a spoon. Apply this mixture all over your scalp and hair. Massage your scalp for 5 minutes. Leave it on for another 20 to 30 minutes and wash your scalp thoroughly with water. Shampooing your hair after applying this pack is optional. Repeat this remedy 3 to 4 times a week for a month. The wonderful moisturizing properties of coconut milk help to condition and soften dry and damaged hair. It also acts as a nourishing tonic for the parched scalp. High levels of mineral magnesium present in coconut milk strengthen the hair follicles and prevent breakage. Break a coconut and grate its flesh using a coconut grater. Sprinkle some warm water over the grated coconut and then wrap it in a piece of cheesecloth. Squeeze the cheesecloth to extract the milk from the grated coconut. Combine 1/2 cup of coconut milk and 1 tablespoon of honey. Mix it using a spoon and apply this mixture all over your damp hair and scalp. Let it sit for an hour and then wash off with water and a mild shampoo. Repeat this remedy 3 to 4 times in a week for a month. Olive oil is a rich source of vitamin E that acts as a powerful to repair the damaged and dry hair stands by sealing the open cuticles. Vitamin A present in olive oil helps to retain keratin and moisture in the hair. Take 2 tablespoons each of extra virgin olive oil and honey in a bowl. Apply this mixture all over your damp hair and scalp and put on a shower cap. Leave it on for an hour and then wash your hair with water and a mild shampoo. Repeat this process 3 to 4 times in a week for a few weeks. Mayonnaise is packed with the goodness of egg yolk, protein and amino acids that moisturize and nourish the hair and scalp. It also strengthens the hair from the roots. Take 2 tablespoons of mayonnaise in a bowl. Apply this mixture evenly all over your hair and scalp. Put on a shower cap and leave it on for 30 to 40 minutes. Wash your hair thoroughly with water and a mild shampoo. Reapply this mask twice a week for at least a month. The natural acids in apple cider vinegar work as a natural conditioner that softens rough and dry hair. It makes the hair more manageable and adds an attractive shine to it. Add 8 to 10 tablespoons of apple cider vinegar into 1/4th cup of honey. Mix the ingredients thoroughly using a spoon and apply it all over your wet scalp and hair. Put on a shower cap and wait for 20 to 30 minutes. Rinse your hair with water and a mild shampoo. Repeat this process 3 to 4 times a week until you notice the results. When choosing honey for your hair packs and masks, try to opt for raw organic honey that does not contain any added ingredients. Honey can lighten the color of the hair, so be careful while applying it. Don’t expose your hair to direct sunlight immediately after applying the honey hair packs because it can bleach the hair. Wet your hair and scalp with some water before applying these treatments. It is easier to spread the packs across the hair and scalp when it’s damp. Wash your hair thoroughly after trying out the honey packs. If the honey traces are left out on the scalp, they can clog the pores. Massage your hair with natural oils such as coconut oil, almond oil or olive oil 2 to 3 times in a week. Opt for a mild organic shampoo that suits your hair type. Don’t forget to apply conditioner to your hair after shampooing. Wash your hair with normal or cold water. Hot water makes the hair even dryer. Limit the use of heated styling tools and blow driers. Minimize the use of chemical-laden hair care products and avoid coloring your hair. Have you tried any of these remedies for dry hair using honey? Then let us know which remedy worked best for you in the comments section below.